Ok...originally my 8x5 boxy was rated for 750 kgs... I blew that out pretty easy....I then changed springs to 1,150 kgs (7 leaf)....and was blowing that out too ....putting some big scoops of topsoil on !! Sooo...I just installed new springs again rated at 1,400 kgs...(9 leaf) farkers are huge !!! How are the brakes on the trailer? Careful ando the springs will be up to the task of taking the added weight. But that might be a lot of strss on the rest of the trailer and could cause strss and fatigue cracks in the welds. In the event of an accident the insurance company might not cover you if they think the trailer is over loaded. yes...I agree.. I am keeping eye on things..Its a very solid trailer with a heavy draw bar ... So far so good..
Just remember legally if the combined weight of the trailer and load exceeds 750kg it must be braked. An average trailer weighs around 250kg leaving a margin of half a tonne. Your D shackles on the safety chain must be stamped and rated too. Also, if you still have the original 750kg axle on it, it will have to be upgraded. To register a trailer more than 750kg ATM, it will need to be inspected,weighed & measured at an authorised inspection centre. I really only carry a heavy load maybe once or twice a month.. and when i say heavy, its only just over a ton.. soo i'm maybe carting 400 kgs more than what the trailer is rated at .. This is a heavy duty 8x5 Boxy with a huge square channel draw bar..not some flip flop trailer.. and its being pulled by a Holden Rodeo V6. 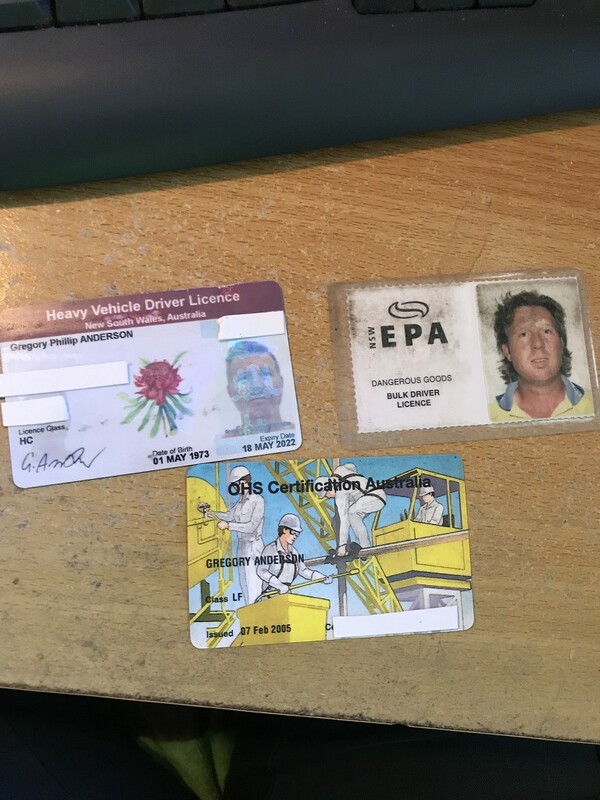 I have a heavy Vehicle License (class HC) *Heavy combination* and drove semi Trailers for 20 years .also a dangerous goods permit , Forklift , bobcat, Boat and Excavator.. ... But never in far Nth QLD .. yes...I agree...I'm doing this during the week.. He looks content but where,s the kids sock savers? Congratulations to you DJ, Grae and family! Are you saying once or twice a month you carry approximately twice the rated load for the trailer? You may feel comfortable doing it but your insurance company and/or local law enforcement may not see it the same way.